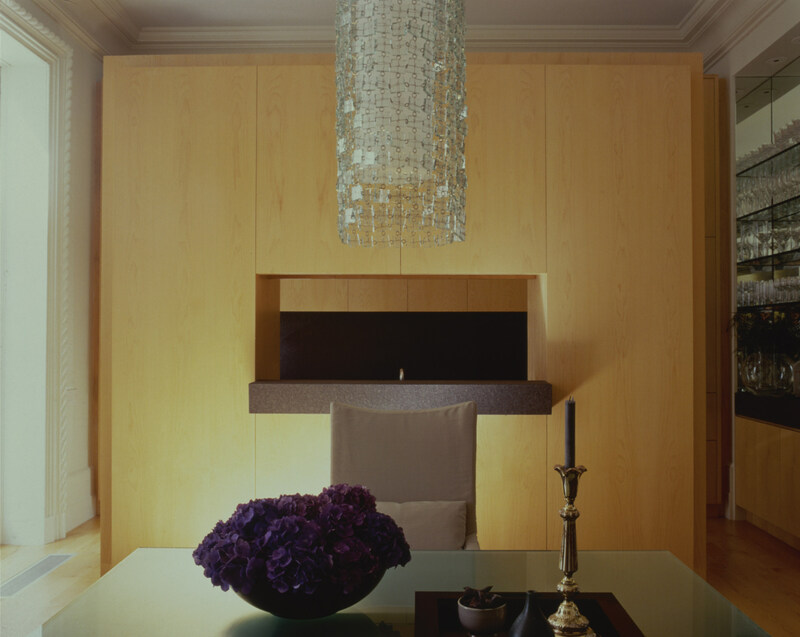 This client requested a very modern, masculine and minimalist interior. 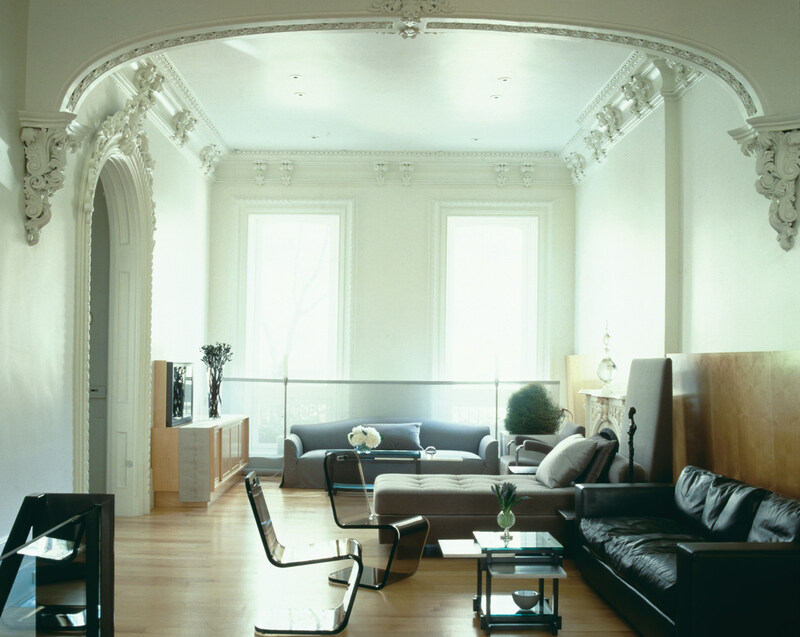 The first decision was to keep all the ornate decorative elements in order to enhance the contrast between furniture and architecture making the interior feel minimalist and serene. 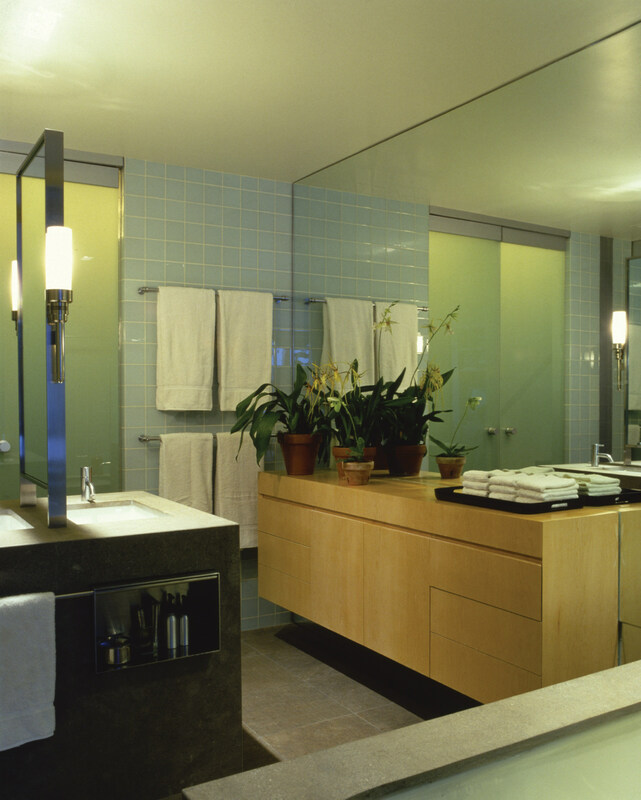 We used a restrained color palette of only grey, light green and light wood. 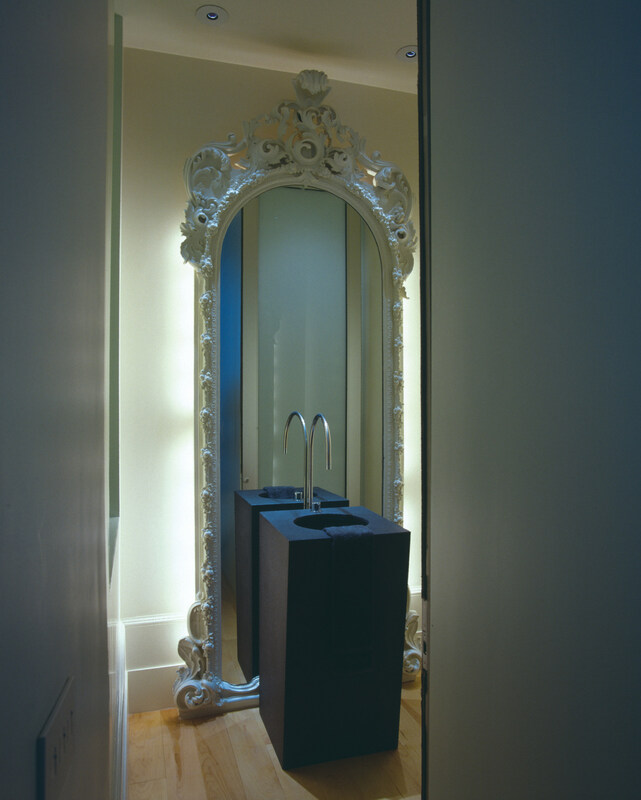 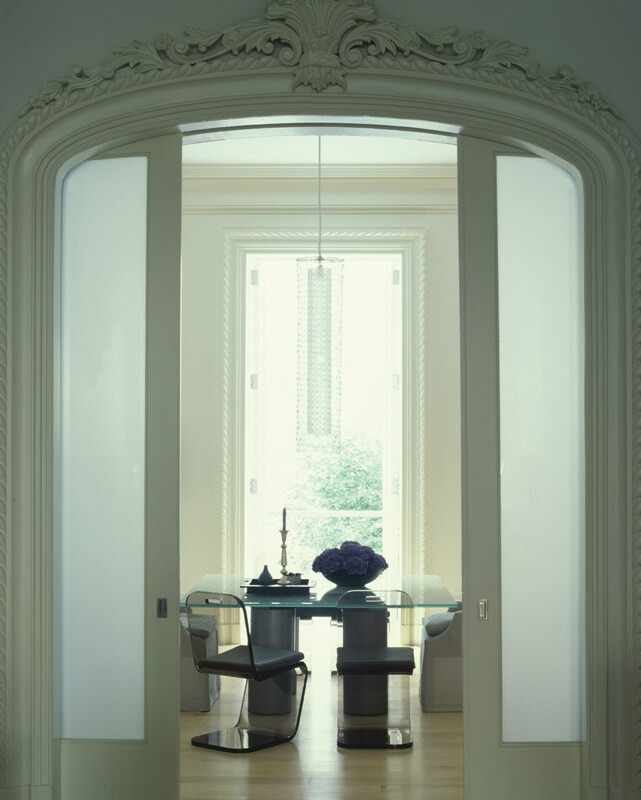 This apartment marks the first time that we created an interior as a “walk-in still life”. 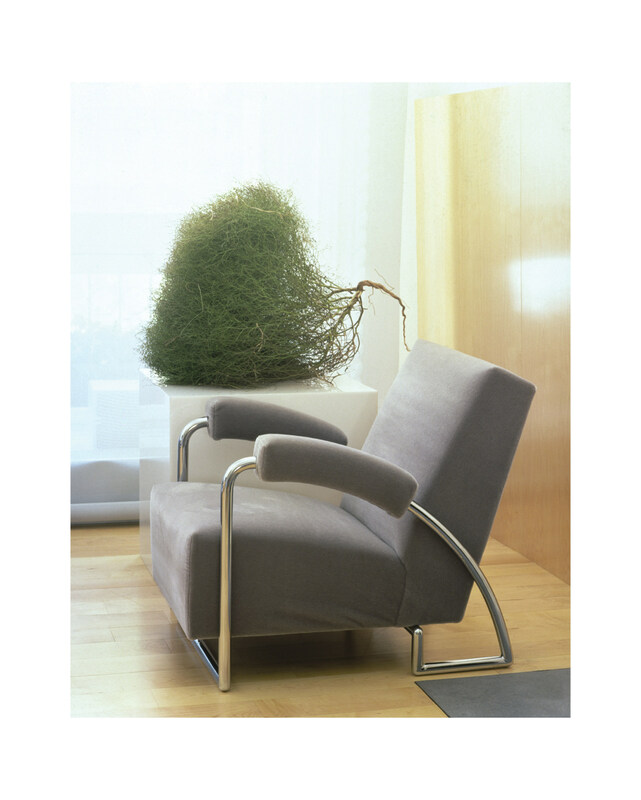 The grey fabrics were all created for this project using the same hue with different textures and fabric/leathers. 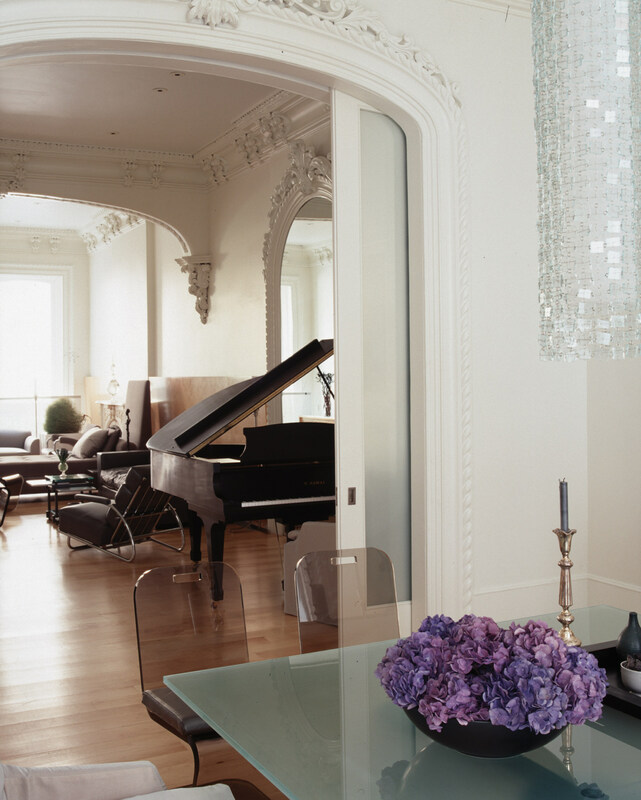 This apartment also had the first glass chandelier inspired by Paco Rabanne that became a staple of our projects to come, in which we always use fashion details to give a whimsical flare.